Cardinal’s in-house software development team builds customized applications to address common challenges faced by IP departments. We are an industry leader in secure IP services. As a government contractor, our systems must annually pass a Federal Information System Management Act (FISMA) audit based on National Institute of Standards and Technology (NIST) requirements. In addition, we voluntarily undergo semi-annual third party SSAE-16 audits. A report from this audit is available to current and potential clients. Our services are hosted from a Tier III data center and our data backups are transported to a secure off-site facility by a reputable tape vaulting service. Contact Cardinal to learn how our software development team can customize or develop a solution that solves your IP problems. 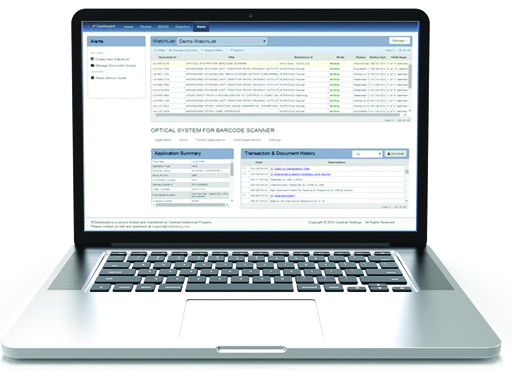 PAIR Alerts removes the burden of tracking on the USPTO’s public PAIR website through automatic monitoring of application, patent, and reexamination proceedings of competitors’ patents. The service also enables a customized user experience by allowing each user to determine the delivery style and frequency of each notification. Whether analyzing litigation exposure, trying to get a jump start on post grant review options, or crafting research and development plans, Cardinal’s PAIR Alerts will help you accomplish your goals. 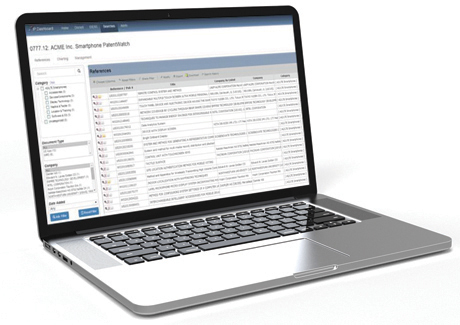 PAIR Alerts is a flexible service comprised of an intuitive cloud-based interface for service management and automated e-mail notifications for registered recipients. Because of the management options available, the service can be used for cases of all sizes, from individual attorney projects to full librarian administration. Cardinal’s friendly service staff works with customers to build an account setup custom to their needs. Notification settings can cover all continuity-related data per monitored application, allowing service users to monitor for continuations and divisionals filed off of an application. Additionally, these applications can be automatically added to account watches, reducing the administrative overhead and ensuring comprehensive monitoring of patent families. PAIR Alerts allows each user to determine the delivery style and frequency of each notification. The best way to view the results of your Collection Search, State of the Art Search, or Landscape Search, is Cardinal’s Landscape Viewer, developed by Cardinal’s IP professionals and software experts. For most Landscape Viewer projects, Cardinal conducts a search to identify the prior art that meets the specific criteria sought by the client. However, in some cases a client may have already identified a collection of prior art on which they would like to perform analysis. In either scenario, Cardinal loads the information into Landscape Viewer and, upon request, will categorize each reference by technology area. Landscape Viewer provides access to a single, combined view of multiple document types, including patent applications and issued patent documents of the U.S. and many international jurisdictions, as well as non-patent literature. These documents are presented in one centralized, secure, user-friendly location. Landscape Viewer is a fast and comprehensive resource for landscape analysis or brainstorming for new inventions. 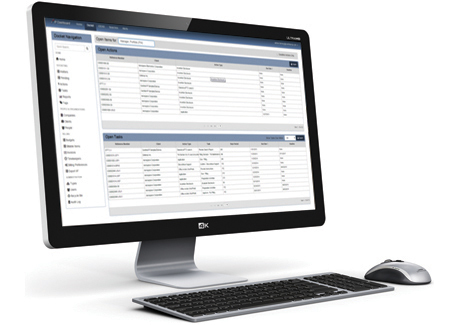 IP Project Control is Cardinal’s Docket & Asset Management software. This cloud-based docketing platform was designed for full life cycle IP asset management, for clients with portfolio sizes ranging from tens of matters to tens of thousands of matters. 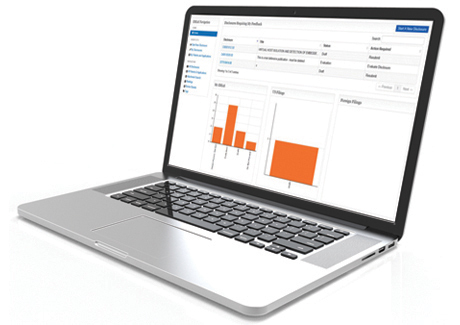 Users can monitor case statuses, track due dates, and view full electronic tri-fold records in a single central repository. This affords users ready-access to critical docket information. Cardinal can integrate IP Project Control with enterprise-wide directory systems, such as WorkDay or PeopleSoft, to seamlessly create a robust data set of inventor personnel information without duplication, manual entry, or errors. IP Project Control integrates with many e-billing systems, such as “Passport,” so as to provide integrated patent data with cost/spend data in a single record without requiring duplicate data entry. In addition, changes in docket information flow through automatically to your billing system. Cardinal offers an Invention Disclosure Management System called IDEAS. IDEAS provides a simple online interface for your inventor community to submit disclosures. The intuitive design makes invention submission easy, providing your inventors with information about where the disclosure is in the review or patenting process. IDEAS can be integrated with your enterprise-wide directory to permit anyone within the organization to submit inventions online. Our system also supports the highest levels of global data and privacy controls. Cardinal is a member of the Privacy Shield program, which is administered by the International Trade Administration within the U.S. Department of Commerce. Members of the Privacy Shield program are deemed to fulfill the EU Data Protection Directives governing the transmission of personal data outside of the EU. IDEAS can be used as an integrated part of IP Project Control or as a standalone software solution.